Une fille ne quitte jamais son sac à main. C'est forte de cette constatation que Mireia, jeune espagnole vivant à Londres, a créé la marque Milli Millu. Son concept est simple : proposer des sacs élégants dans lesquels une fille peut mettre tout ce dont elle a besoin pour sa journée de travail. Résultat ? Une sélection de sacs plus que parfaits, qui donnent envie d’aller bosser ! Rencontre, en anglais, s’il vous plaît ! 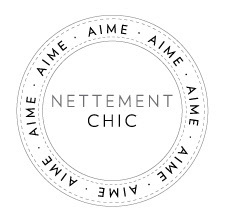 Nettement Chic (NC): Describe your brand in a few words. Mireia Llusia-Lindh (ML): Milli Millu is a luxury handbag brand designed with stylish busy women in mind. Contemporary exteriors are coupled with our incredibly practical signature interior designed to fit laptop/ipad, smartphone, papers, and more. 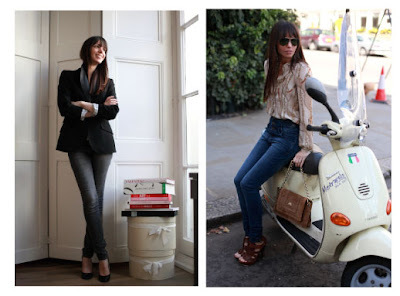 Milli Millu handbags are everything I ever wanted and could never find: chic and clever, luxurious yet attainable. ML: A pleated blue skirt for my oldest daughter and a vibrant green sweater for me from JCrew, so glad they are starting to ship to Europe! NC: What is your favourite e-shop? ML: I love Byredo Perfumes’ site. The way they present their products alongside art is very inspiring. And the very sleek black and white ascetics of the site makes the shopping experience a very pleasurable journey. It’s a very good online version of their flagship store in Stockholm which is absolutely stunning. ML: Disneyrollergirl by Navaz Batliwalla. Navaz is a very savvy writer, she is very good at picking the most interesting fashion/ art topics to write about and always gives her personal spin to it. She is also concise and to the point yet she always manages to capture all the important details, making her blog a very interesting reading. ML: Kanebo’s concealer – it hides all the baby sleepless nights under my eyes! NC: What is nettement chic for you? ML: A woman who knows who she is and is happy in her skin regardless of her age.